I would expect a requirement for Canadian Support would be all customer service bilingual French/English? I think it’s only required that companies have a certain number of call-takers who are bilingual, not that every call-taker be bilingual. When you make a call to such a number in Canada, the message usually says (in French), “For service in French, press 1,” so those calls get routed to bilingual staff. You’re right. Let’s stay on topic. I do have issues when connected to a call center worker with an accent. It has nothing to do with the place of origin. I have hearing issues, at times I have problems understanding even plain spoken American English, even a slight accent can cause me untold frustration. I suppose I should have stayed out of the discussion since I do not use Dexcom but this trend of sending tech support over seas irks me. Glad to hear that Dexcom 5 is working well for you. Reading all this dissing on Dexcom just as I am starting up with them was putting me off a tad. Mind you these forums should be taken with a grain of salt as it just provides a [redacted] bitchfest platform! My reason for getting the Dexcom is for Reactive Hypoglycaemia. My sugars go too low. No other device in Canada can be reliable and alert me to my glucose lows. I am in Canada too. My daughter’s had the dexcom for 3+ years. We love it. No complaints here. It sounds a lot like it’s the u.s. branch that is unsatisfactory. I have a wonderful rep who runs interference for me. Anthony has confirmed he is being outsourced. Before Anthony customer service at Dexcom was non existent. Even after you wait for 20 minutes on hold. This is just wrong in so many ways. Thank you Anthony. Bless you. Sorry off track here, but my favorite game is the word game Boggle with Friends, love it! How can they do away with their sales force. Who will keep doctors with up-to-date information and demonstrations? Has anyone on Medicare tried to pay the difference from a Dexcom G5 to the G6? That is not allowed per US Federal Law. The most at risk of legal jeopardy (if such a situation did occur contrary to Federal Law) is not the Medicare recipient (ie - consumer) but rather the provider (ie - distributor). LOL!, if that were possible (it isn’t) then I’d have Dexcom pay ME to let me keep using the G5. A total non-starter, all the way around, Les. Why dont we just set up Skype accounts from Canada zip code to get routed through Ohio? 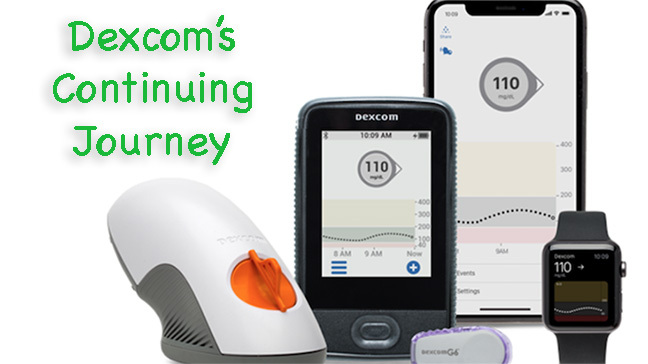 Continuous glucose monitoring company Dexcom has made news with its latest diabetes technology and corporate restructuring, impacting 350 jobs. Apparently Dexcom has an existing facility in the Manila (Dexcom Philippines global business services). I wonder if they already use it to support customers in other regions (Asia, India, other)? I’d feel a little better if I knew they weren’t building this from ground zero and that they have experienced staff already on board. I had one call each with Dexcom CS and TS the last two weeks. It wasn’t a pleasant experience. With what their staff has facing them in the very near future, I now understand why. I’ve been bitterly disappointed with the G6 and am seriously thinking about going back to the G5. I wonder if quality is sufffering from this poorly planned ramp-up? What was wrong with the call? I called within the past week and had a perfectly fine convo. It’s like when I call Dexcom, it’s happening in a alternative universe, when I listen to all the complaints on line. I just don’t get it. I should probably rephrase “unpleasant”. The one with TS was downright frustrating. Very little empathy with what I was facing and not willing to make things right (I posted about this elsewhere). The CS call (yesterday) was ‘unpleasant’ only to the extent the rep wasn’t as enthusiastic, proactive or cheerful as I’ve experienced over my many years using Dexcom (since the seven system). But no issues with the answers I. received. Today I had my first experience speaking with a CS rep in Manila. I needed resolve an issue with an errant shipment of G5 transmitters. They were sent on an expired ‘auto replenish’ order. I’m using the G6 now. In the early afternoon I placed a call. I was advised the wait time would be 24 minutes and that I could leave a call back number, which I did. Four hours later I still hadn’t received a call back. I was resigned to having another bad experience with post-G6 intro Dexcom support. But I called again. It was answered immediately by a rep who politely and competently resolved this issue in less than 30 seconds. He also was able to answer when I would receive my next G6 transmitter shipment. I couldn’t get an answer from the rep I spoke with earlier this week. He had an accent and the background had the sound of other reps answering calls. I thought it might be a non-US call center. I asked whether he knew anything about Dexcom’s plan to move CS/TS outside the US. He confirmed he was in Manilla. He said a core number of CS/TS reps will remain in the US but some calls (the majority??) will be handled in Manila. He was well versed in the product and system. Either he received extensive training or perhaps the Manila call center has been on line for some time supporting regions outside the US. I should have asked. Only time will tell if my experience will be the exception or the rule. How they handle TS calls will be a more demanding test. So Sad. All the US jobs lost! Good grief. I’m an immigrant and fully understand that there are tons of competent tech support type people all over the world. I called the tech help today. Their recording tells me they’ll “call me back within a few hours”…option is to stay on hold…so I do…for 12 minutes; then they cut me off and send the call to “customer survey” since I have been “selected”. Are you kidding me? What kind of survey feedback do you think I’m gonna give you with that kind of “service”??? I’m going to e mail my congressman and tell him what a wonderful job our Medicare Approved providers are doing, wherever the hell they’re located. I have already reported this to Medicare, as I suggest you all do.